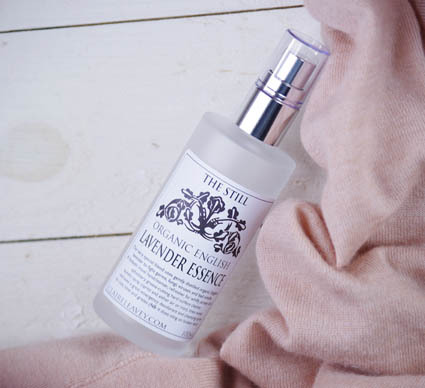 The deliciously cleansing fragrance and power of natural lavender, captured in a handy spray. 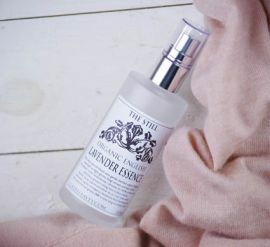 This product has a million uses: as a really handy and effective travel hand cleanser, for refreshing woollens, for spritzing ironing and upholstery - and it's also turned out to be a really effective hard surface cleaner, too! It degreases and wipes away even ingrained muck quite effortlessly - and because lavender is known to be naturally antiseptic, antifungal, antiviral and antibiotic, it's the ideal choice to cleanse and freshen the kitchen, bathroom, sick-room, and (especially!) the nursery. You can even use it to clean cuts and grazes in an emergency (NB: it does sting on broken skin) - and as we've discovered, it makes an effective chemical and aluminium-free underarm deodorant, too. Cold on a chilly morning, though! Please see the article, 'Housekeeping Naturally', via the link at the foot of this page, for more information on the amazing certified organic lavender hydrolat used to make this product. Please note that the product you'll receive will come in an opaque aluminium spray bottle, not the frosted glass as shown.